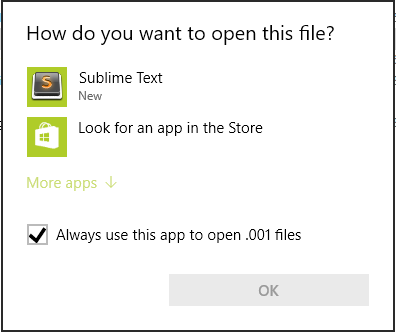 Did You even notice that when you double click some file in Windows Explorer, Some program will open that file for you. How does Explorer remember that THIS Type of file should be opened with THIS Program. So, This behavior is managed by File Type Association Record, and THIS record is saved in Windows Registry. OK, Now we will take a look at all Possible way to associate some kind of file with some program. 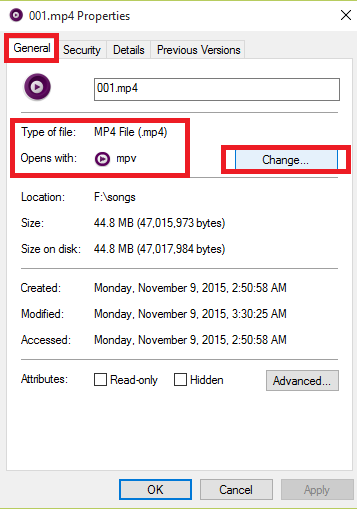 We want to change program to open .mp4 files. New windows appears asking you to choose any program from list, If Program that you are looking for, is not in list, then you manually locate that program. Now we need to define command line that should be executed every time User Double Click on .mp4 Files. Windows PowerShell is really cool, because this allows you to work with Windows Registry the same way as you work with FileSystem. 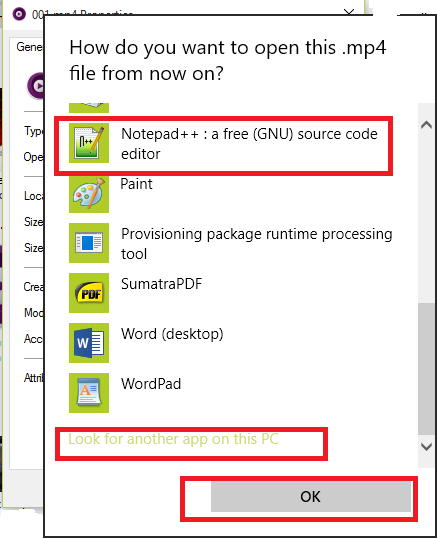 But if User choose some program manually, then Explorer create a list of program with first index for previously chosen User Program, This is why in this case, First You need to execute both above commands after that You have to add THIS application to User Chosen Programs and Update Index. Now, When User Double click on THAT kind of File, Explorer will give him/her a choice that Hey! I found this New Program, That may be chosen by You, But The second one will be what You chosen last time. ftype MediaFile="F:\Softwares\mpv\mpv.exe" --autofit=50%%%% --force-window --ontop --no-border "%%1"
# Register a New Application (demo.exe) and command line string for it ..